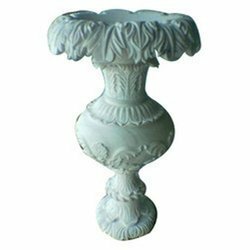 Leading Manufacturer and Exporter of Stone Lamp Post such as Dew Drop Night Lamp, Antique Carved Lamp and Decorative Garden Lamp from Jaipur. We are engaged in offering a wide range of Antique Carved Lamp. These are admired for their eye-catching appearance, appealing look and fine finish. Following the precise demands of clients, we offer these lamps in various styles, designs, colors and shades. We offer these in various intricate designs and finish. Our lamps are very attractive in appearance. 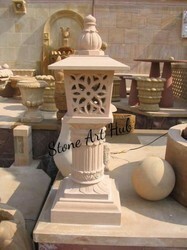 We are engaged in offering a wide range of Antique Stone Carved Lamp. These are admired for their eye-catching appearance, appealing look and fine finish. Our lamps are very attractive in appearance. 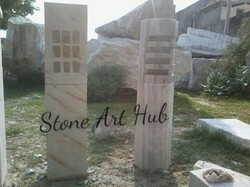 We are engaged in offering a wide range of Stone Carved Post Lamp. We offer these in various intricate designs and finish. Our lamps are very attractive in appearance. Keeping in mind the vast requirements of clients, we are indulged in offering Decorative Garden Lamp. These Decorative Garden Lamps are made available in different colors and designs. The look of the garden is enhanced from the use of these Decorative Garden lamps. These Decorative Garden Lamps are break resistant in nature.